Taken in excess, even vegetables can be bad for health. The healthy diet must focus on the big picture. AFTER giving birth to her first child four years ago, Mazuin Ahmad was unable to lose the weight she had gained during pregnancy. At her heaviest, she was 80kg, compared to her pre-pregnancy weight of 55kg. Unfortunately, Mazuin’s unhealthy diet and sedentary lifestyle were the reasons that she kept piling on the extra weight. Working as an accountant with a multinational company, she had a busy schedule and had to rush to meet deadlines. She skipped breakfast and had late lunches — usually fast food — at her desk. She would only be home about 8pm or 9pm and would have dinner that her maid had prepared late. On weekends, family outings included eating out for breakfast and lunch. A friend told Mazuin that she could lose weight fast and easy on a vegetable-only diet which the friend had followed and succeeded in. Mazuin thought that it could work for her too. She wanted a diet that was simple and produced fast results. As she must avoid food from other groups, her meals consisted of only vegetables eaten either raw, stir-fried, boiled or baked. “But after a month, I could not do it anymore. I did lose 20kg but there were a few side effects. 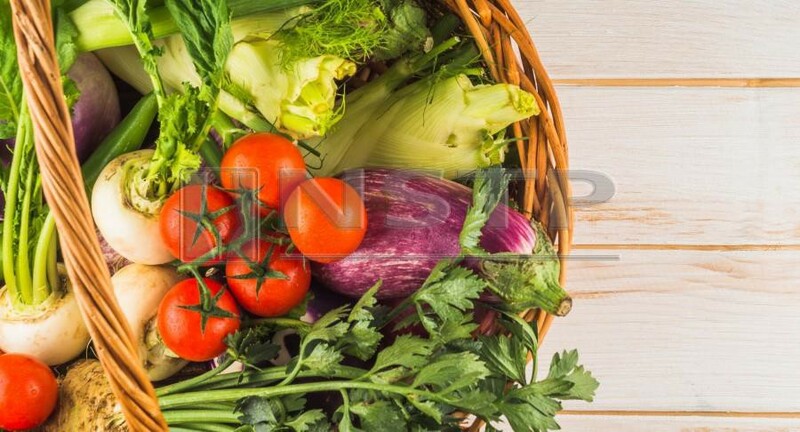 Eating too many vegetables can lead to constipation (Picture designed by jcomp/Freepik). 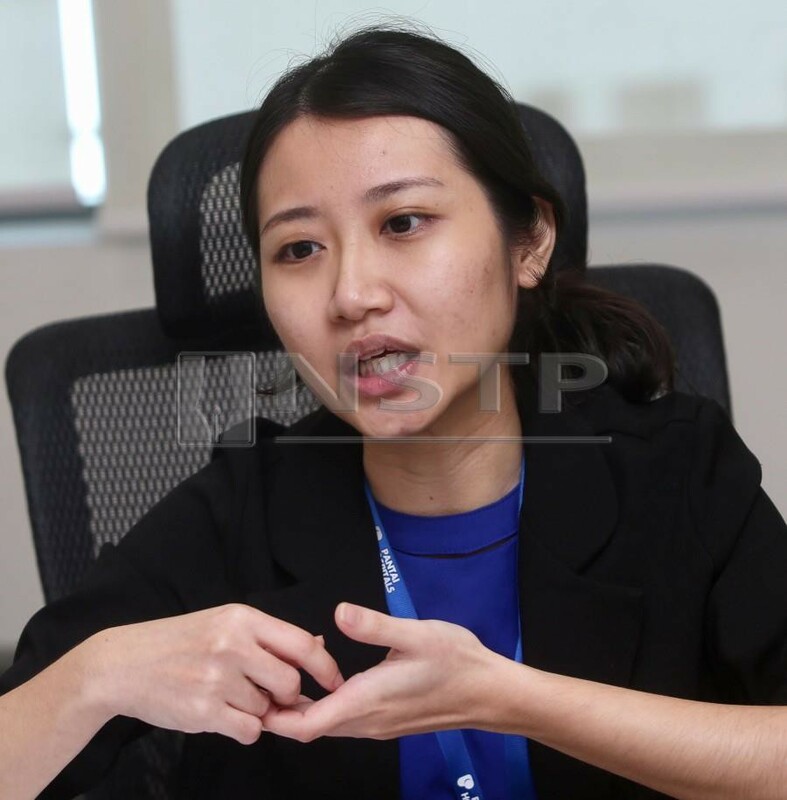 Pantai Hospital Kuala Lumpur’s senior dietitian Hin See Ling says eating too much of vegetables can increase fibre which the body cannot absorb. This will lead to bloating, constipation and gas. Too much fibre may cause or worsen diarrhoea in some people with irritable bowel syndrome. Vegetables contain both soluble and insoluble fibre, which are a form of carbohydrates. Soluble fibre can be absorbed by gut bacteria, which can help maintain a healthy digestive system. Insoluble fibre does not absorb or dissolve in water and passes through the digestive system close to its original form. A 2012 study published in the World Journal of Gastroenterology looked at the effects of fibre in patients suffering from constipation. During the study, participants who reduced or eliminated dietary fibre experienced constipation relief, while those who continued with high fibre intake did not experience any changes. The researchers concluded the bulking of stools caused by fibre can make it harder to pass waste. Vegetables are important sources of many nutrients including vitamins, minerals and phytochemicals. However, people with certain illnesses need to avoid vegetables that can worsen their condition. Hin says people who experience bloating may want to limit or avoid cruciferous vegetables such as broccoli, cauliflower, cabbage, kale, bok choy and radish. “Patients with kidney disease must restrict potassium intake if the blood potassium is high. Elevated blood potassium causes irregular heart beat and in the worst cases, it will lead to heart attack. “Vegetables rich in potassium are broccoli, potatoes, sweet potatoes, mushrooms, peas, zucchini, petai (stinky beans), mustard leaves and kailan. 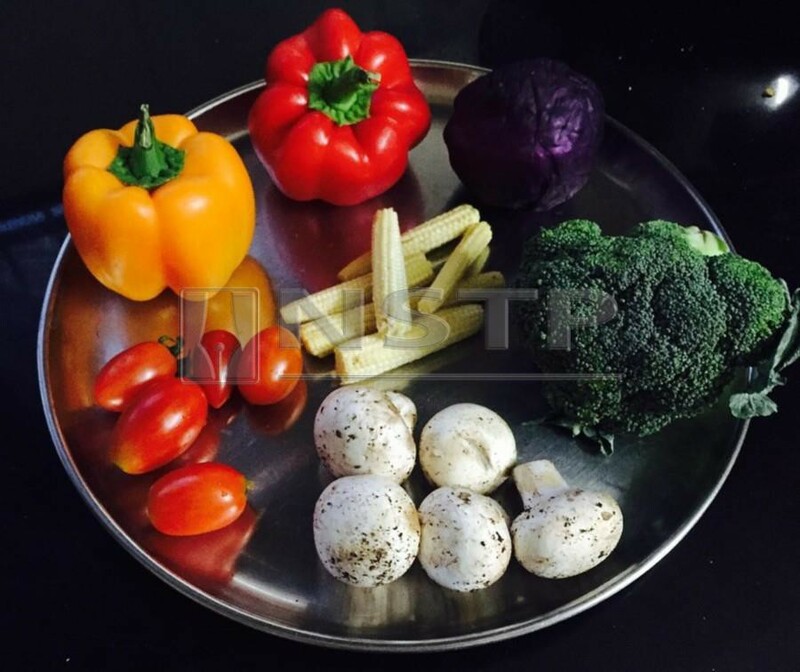 Hin says another negative impact of following a vegetable-only diet is that it will lead to nutrient deficiency. Vegetables should be eaten with food from other groups that include whole grains, lean meat, poultry, seafood, eggs, dairy products and fruits. To get the full benefits of nutrients, eat vegetables of various colours (Picture from pixabay.com). Nutrition deficiency occurs when the body does not get the necessary vitamins and minerals from all food groups. Deficiencies can lead to a variety of health problems including digestion problems, skin disorders, fatigue, weakness, trouble breathing, hair loss, muscle cramps, periods of light-headedness and diarrhoea. 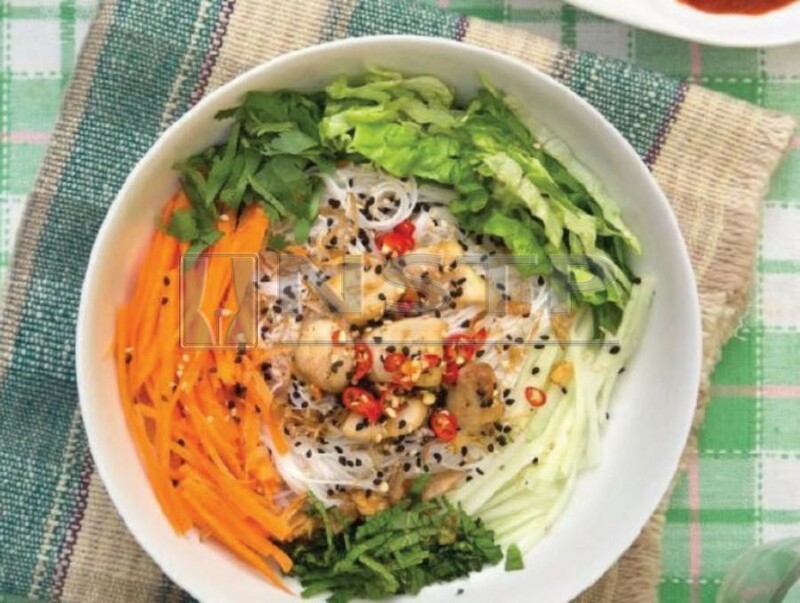 Hin says vegetables are generally very low in calories, however, when a person wants to lose weight, he should be careful of starchy vegetables as they are one of the carbohydrate food sources. “For example, a small potato of about 75g, contains approximately 15g of carbohydrates and 75 kcal. Excessive intake of starchy vegetables can contribute to a significant amount of carbohydrates and calories which may lead to weight gain. Thus, it is very important to control portions when eating starchy vegetables. Consumption of plenty of vegetables is one of the dietary recommendations to reduce risks of colorectal cancer. But there must be a focus on the overall dietary pattern as well because the recommendation to reduce the risks are to include plant-based foods such as wholegrains, vegetables and fruits and to limit intake of red meat, and avoid processed meats and consumption of sweetened drinks. Hin says people also tend to believe that certain vegetables are superfoods. They will focus on one vegetable believing it will bring them the benefits they want. “For example, they believe that broccoli which is listed as a superfood has anti-cancer properties. Broccoli is rich in vitamins and minerals, and has many health benefits but you cannot eat only broccoli and avoid other vegetables. To get the full benefits of vegetables, follow the Malaysia Dietary Guideline which emphasises healthy portions of carbohydrates, protein, fruits and vegetables. The healthy plate meal, or suku-suku-separuh, comprises a quarter of protein, a quarter of carbohydrates, and half of fruits and vegetables. The portion is to ensure you get the nutrients from all food groups that your body needs. “Based on the guideline, we should eat between three and six servings of vegetables every day. One serving of cooked vegetables is about half a cup while one serving of raw vegetables is one cup. Three servings is 1 1/2 cups. For children below 7 years old, they must have two servings. For those aged 7 to 18, their diet should include at least three servings of vegetables. Eating raw vegetables - such as salad or ulam - offers more of certain nutrients. However, in some cases, cooked vegetables will increase bio availability of the nutrients. “For example, vitamin C in tomato is sensitive to heat, so we usually eat it raw. But if we want to get the benefits of phytochemicals such as lycopene, it is better to eat cooked tomato. You can stir-fry it with a little oil. It will have a good texture and good flavour compared to its raw form.